Time: 2018 Oct. 27-28 . Theme: The role of logic in various branches of theoretical philosophy, such as metaphysics and epistemology, has been on the rise for quite some time. Having seen a decline in the eighties and nineties of the last century, the last two decades have seen an increasing interest of metaphysicians and epistemologist to use logical tools, and of logicians in applications of their concepts and theories in other areas. The aim of the conference is get clearer on the how and why of the links between logic and theoretical philosophy. Where exactly is logic of use in the study of question in theoretical philosophy? Are there specific questions or areas for which it can be used? And what assumptions about logic itself justify those uses? Answers to these questions need to touch on both the nature of the philosophical issues as well as that of logic. What assumptions about the structure of metaphysical or epistemological phenomena justify the application of logical tools? And from what does the application of logic in these areas derive its explanatory force? 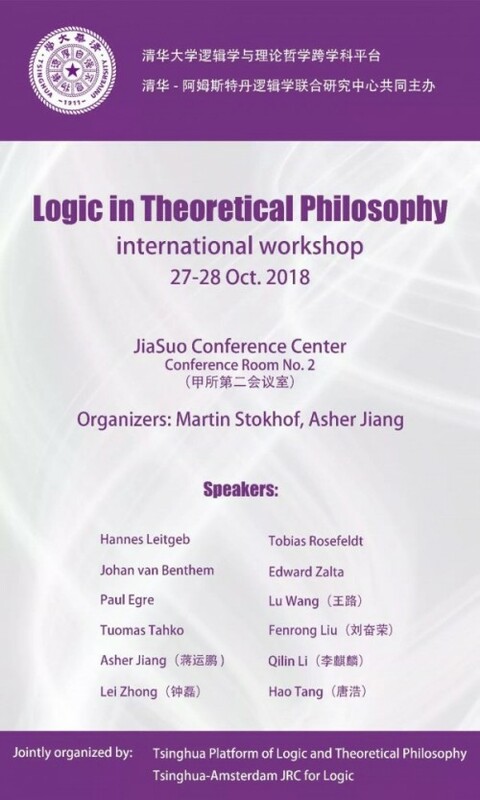 The first session is devoted to general perspectives on logic and its application in philosophy, and on the philosophical assumption of logic that make that application possible. The second session deals with the most crucial concepts in the current meta-metaphysical debate, namely the concept of grounding and the concept of structure. The third session deals with one of the classical questions in metaphysics, namely the question concerning the concept of existence. Both topics underpin the interaction between these disciplines and logic. The fourth session deals with the application of logic in another branch of theoretical philosophy, viz., epistemology, and is of a mixed nature. The aim is to have in each session three speakers and three commentators, and sufficient time for questions and debate. We would like all speakers to present their research in such a way that it is relevant to the general aim of the conference. In order to promote discussion and exchange of ideas participation will be limited. Besides the 15 speakers/commentators we intend to have another 15 researchers participate. Tuomas Tahko What is Logical Realism? Asher Jiang How Substantial are metaphysical questions? Hao Tang Is Bodily Self-Knowledge Perceptual?